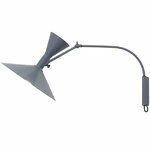 Nemo Lighting’s Lampe de Marseille Mini is a smaller version of the sculptural wall light designed by the world-famous architect Le Corbusier for the Unité d’Habitation in Marseille at the turn of the 1950s. 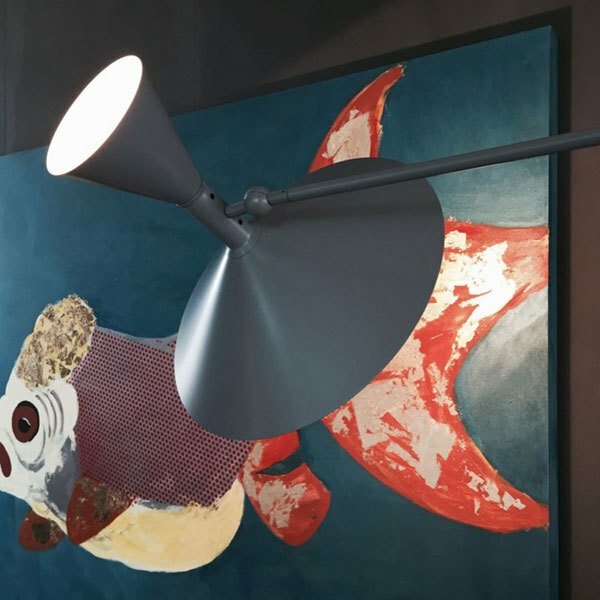 The position of the light is easy to adjust since the arm features two joints and turns from side to side. 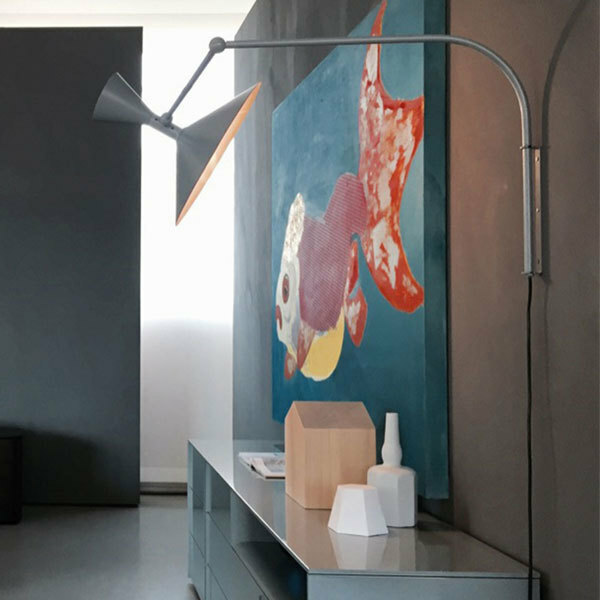 The striking shade consists of two aluminium cones that offer direct and indirect light. 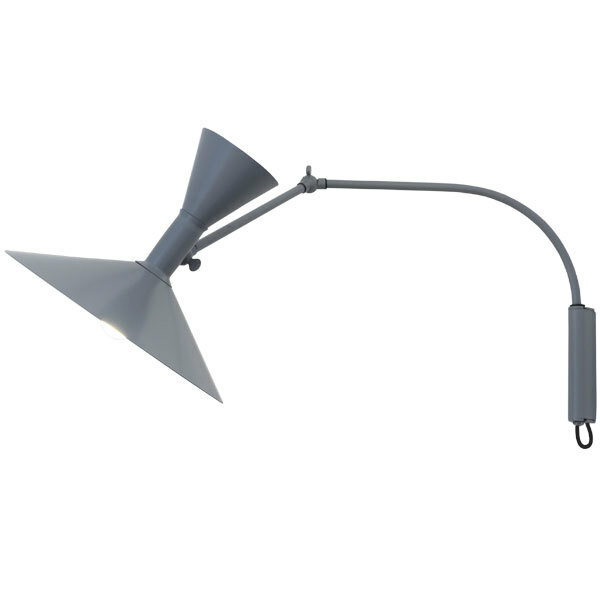 Lampe de Marseille is a true statement piece that has and will stand the test of time. Charles-Édouard Jeanneret-Gris (1887-1965) was a Swiss architect, artist, designer, urban planner and writer, best known for his achievements in modern architecture. 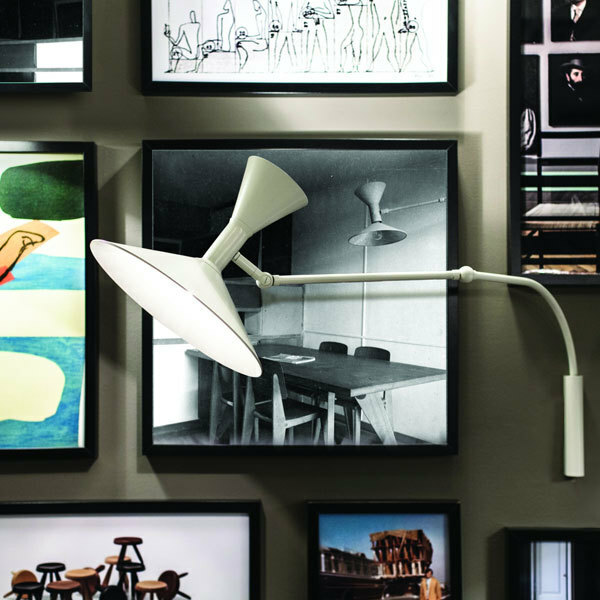 He adopted the name Le Corbusier, a pseudonym of his grandmother’s last name Lecorbésier, in 1920 in the first issue of the L’Esprit Nouveau journal. Le Corbusier started his studies at the La Chaux-de-Fonds art school at the age of thirteen and soon shifted from watchmaking to painting and architecture. He designed his first house in 1905, made several study trips to Europe and worked for a number of architects such as Auguste Perret and Peter Behrens. During World War I Le Corbusier taught in his alma mater and moved later to Paris. His most important architectural pieces include Villa Savoye in Poissy (1929-1931), Unité d’Habitation in Marseille (1947-1952), the city of Chandigarh in India (1954) and Notre Dame du Haut in Ronchamp (1955). In furniture design Le Corbusier’s LC4 chaise longue and LC2 armchair and sofa are true icons.